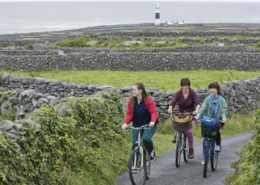 Enjoy a relaxing self catering holiday home break on the Wild Atlantic Way in North West Ireland. Wonderful scenic tranquil location overlooking the sea and islands just off the Atlantic sea shoreline which you can walk to from our garden. Armada Lodge Seashore Self Catering Holiday Apartments Sligo is located one hour from Knock Ireland West Airport and midway Sligo/Donegal north of Grange Village along the Wild Atlantic Way. 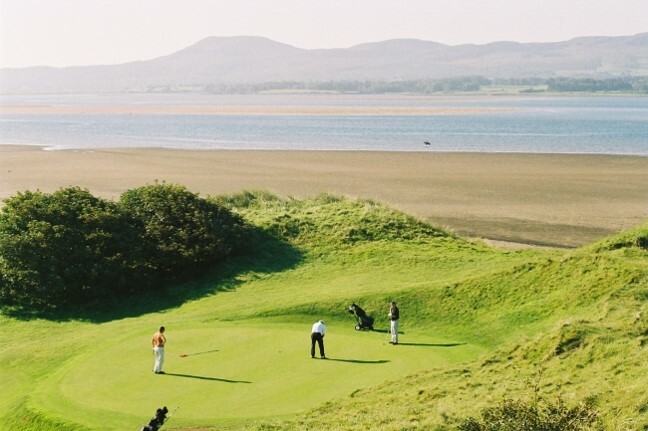 Ideal base to take a day trip to visit the Giants Causeway, Donegal, Connemara and Dublin’s Book of Kells. 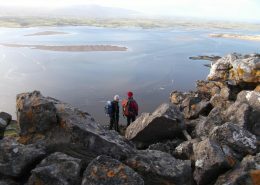 Our emphasis is on quality accommodation and services, stress-free walks and activities associated with nature, including kyaking around the secluded cove; beach walking across miles of empty beaches; hill walking on Benbulbin; galloping on horseback across miles of sandy beach; cycling leisurely along country roads; relaxing sea angling at Mullaghmore; and deep sea diving in crystal clear waters; golfing on 4 seaside golf courses; boat trips on Lough Gill and to Innismurray Island; or simply relaxing in the solitude of an armchair on our balcony or overlooking our adventure seashore. 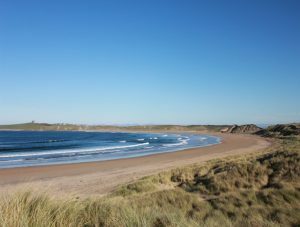 Two long golden strands, Streedagh Strand and Mullaghmore Strand are only 6 minutes by car for safe swimming and miles of beach walking. Our self catering Sligo holiday cottage apartments are tastefully decorated, have wonderful views overlooking the sea and the Benbulbin and Truskmore mountain range, have en suite rooms with TV, fully equipped kitchen. 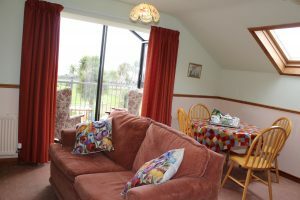 All have sea facing rooms, a wonderful balcony/ conservatory area with comfortable rocking armchairs overlooking the sea which provides an aura of absolute peaceful tranquility….. that feels like a little piece of heaven….. ideal location for Artists or Photographers. There is a tennis court, childrens play area with trampoline, football pitch and laundry on site. 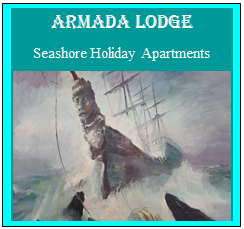 Armada Lodge Seashore Self Catering Holiday apartments is a 4 star rating premises located in the pretty village of Grange, County Sligo. 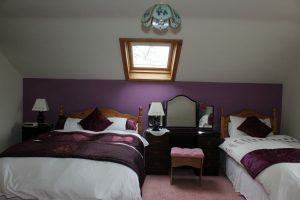 It contains a one bedroom and two bedroom holiday home apartments. There is a balcony with spectacular views of the sea and surrounding area. The access to the sea shore is through a private path for the adventurous as well as having a boat pier locally. The premises welcomes families of all ages. 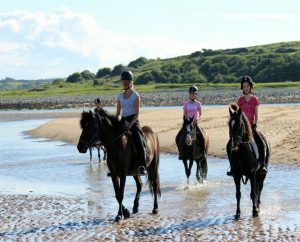 Armada Lodge holiday home is located just a few kilometres from the beautifully appealing village of Grange. 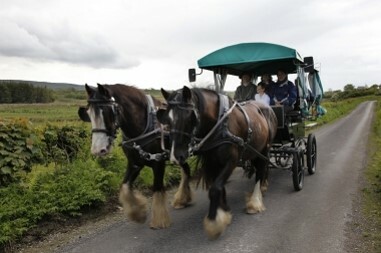 Travel through the amazing countryside as you enjoy a wonderful scenic drive around the region. Visit Parkes Castle an authentic plantation castle and walk the footsteps of a forgotten age. 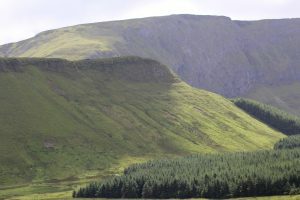 Visit Lissadell House, Yeats’ Grave & Glencar Waterfall. Take a drive to Connemara or to the Giants Causeway. 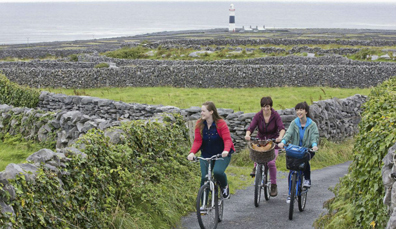 Whatever your reason for travelling to Sligo, it is sure to make a lasting impression, making you want to come back time and time again.